CONGRATULATIONS! to Donna Tregale from Whipton, for winning our Ultimate Christmas Stocking. Her presents were delivered by the Radio Exe Crew accompanied by their Christmas elf. 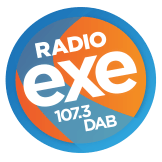 The Ultimate Christmas Stocking Delivered by Radio Exe!